Therefore, not all the distance between the gun and the target is danger space. 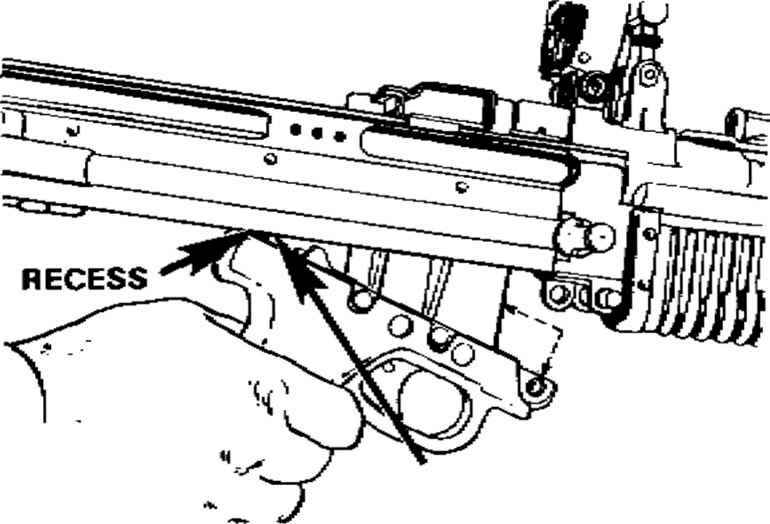 Machinegun fire is classified with respect to the GROUND, the TARGET, and the GUN. Grazing Fire - when the center of the cone of fire does not rise more than 1 meter above the ground. When firing over level or uniformly sloping terrain, a maximum of 600 meters of grazing fire can be obtained. Plunging Fire - when danger space is practically confined to the beaten zone. 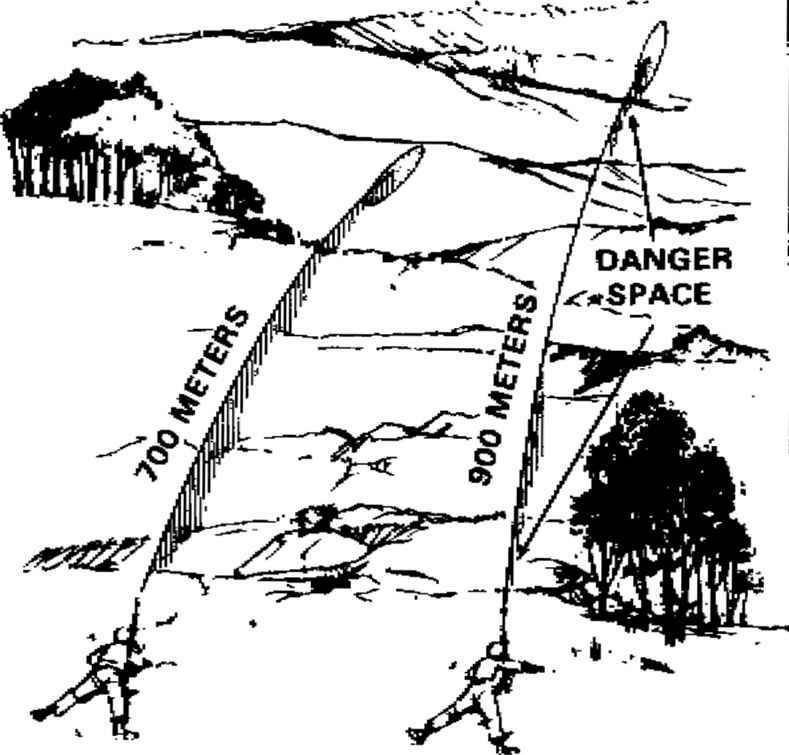 Plunging fire occurs when firing at long ranges, when firing from high ground to low ground, when firing into abruptly rising ground, or when firing across uneven terrain, resulting in a loss of grazing fire at any point-along the trajectory.